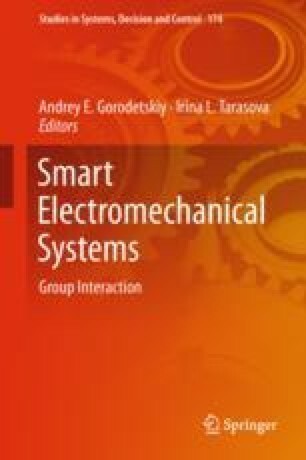 Problem statement: The main problem in the design of smart electromechanical systems (SEMS) is a reasonable choice of components and elements that are characterized by a wide variety of functionality, technical characteristics, and their cost. Currently, domestic and foreign firms produce a very large number of devices, components and components. From this, it follows that design of SEMS is a poorly formalized task. Therefore, for a reasonable choice of components and elements of the SEMS of robotic complexes, the methods for solving multi-criteria optimization problems with fuzzy representation of information are needed. In the design of complex technical systems, in practice, heuristic methods are mainly used. The purpose of the research: Formalization of the SEMS design process of robotic complexes and the development of an algorithm for an automated design system. Technical task of SEMS design should contain information about the functions of the system being designed, a list of requirements and limitations to the main characteristics. Moreover, the particular characteristics of the systems should be combined with the general quality indicators, and the less significant characteristics should be excluded. In addition, to reduce the total number of operational characteristics to the number of the most significant, it is necessary to investigate their mutual correlation and compatibility. Results: The SEMS design methodology was developed, based on the method of paired comparisons and prioritization. The proposed method uses the technique of partitioning a complex problem into simpler ones, which makes it possible to formalize the problem of multi-criteria of optimization of a technical solution choice from a set of alternatives with fuzzy information representation. Based on the proposed methodology, an automated SEMS design system was developed. The results obtained with the help of an automated system coincide with the results obtained by teams and experienced specialists, but over a longer period. Practical meaning: The developed automated system allows significantly reducing the time and increasing the reliability of decision making when choosing alternative options. The system is versatile and has an intuitive interface that allows the expert not to have high skills in working with it. With the help of this system, an optic-electronic system for controlling geometric parameters of large-sized parts was developed.